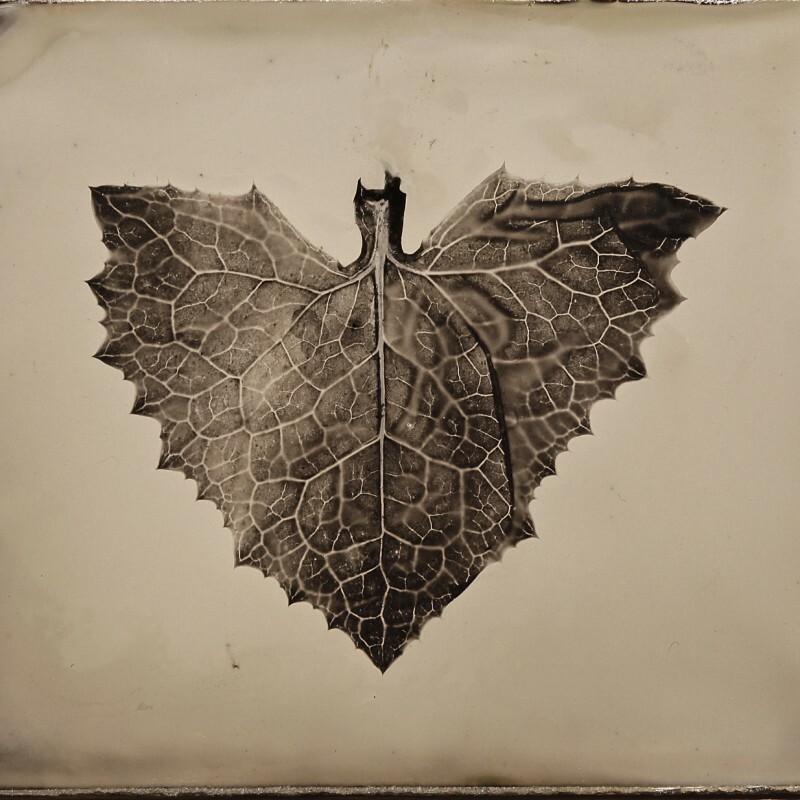 Wet Plate Photograms - Anton Orlov | Film's not dead. 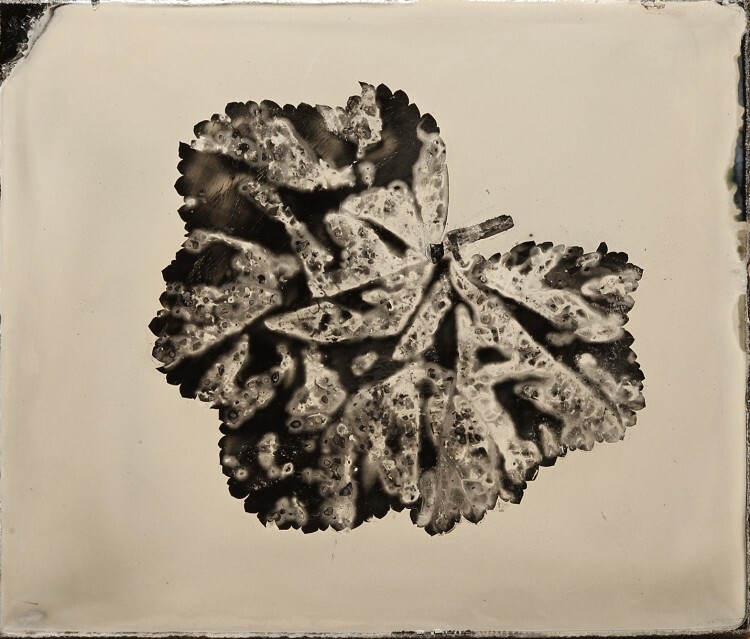 We were going to christen the camera with a little 1/6th plate ambrotype and so coated the glass and dipped it in silver before coming out into the light, taking a closer look at the camera and figuring out that there’s no possible way to use it. 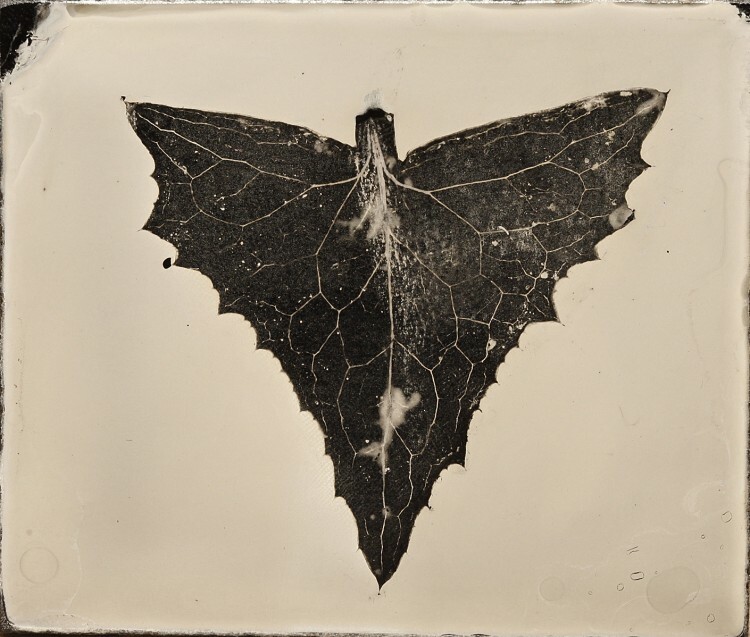 Faced with the dilemma of having a coated plate ready to go I decided to run outside, pluck the first leaf I saw and try making a collodion photogram. 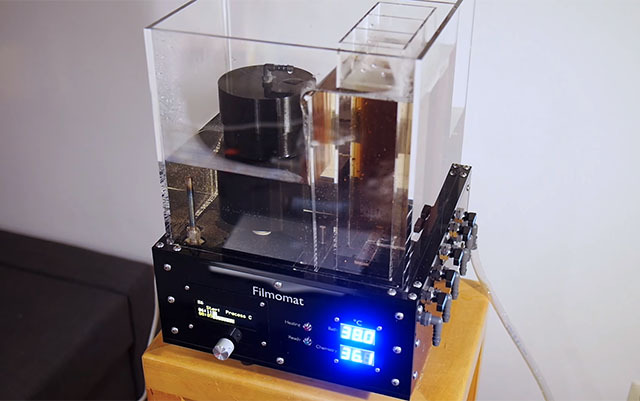 Photograms are made by laying an object on light-sensitive material, and exposing that combo to a directional light (generally though an enlarger). The degree of transparency and length of exposure determines how much detail you will end up with inside the outline of the object. The flatness of the object will determine the sharpness of the outline and the said details. Generally people use glass to flatten the objects to the light-sensitive material, especially if your object is semi-flat already and just needs a little help, but that’s not really necessary – Man Ray did a lot of beautiful photograms, which he called Rayographs, with dimensional objects. 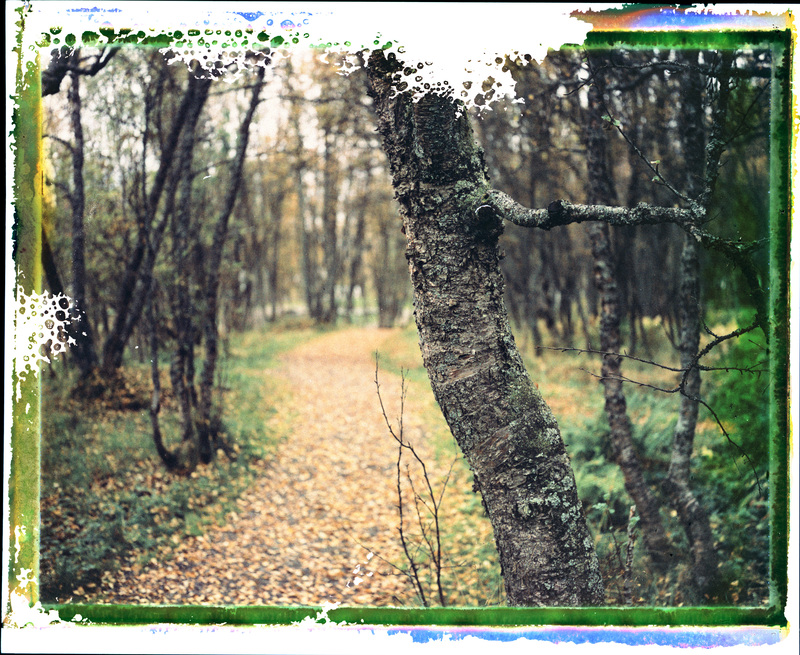 Of course you do this on a negative emulsion you will end up with dark areas where the light hits and light or completely white outlines. Collodion being a positive process you end up with a dark outline on a light background. 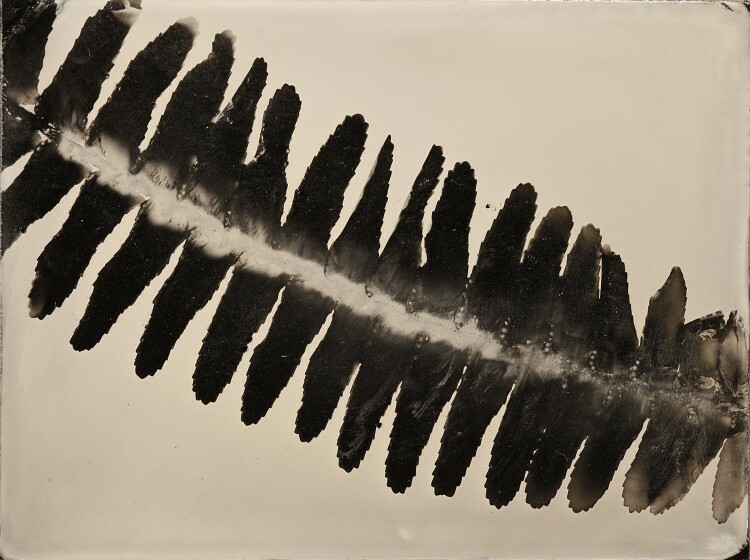 Empowered by the success of the first try, I made a few more collodion photograms using other leafs from nearby plants. As it turns out they all showed a very widely varied affects. The more opaque fern didn’t show any detail as far as veins, but did yield a cool cloud-looking signature where the stem was. The thicker rounded leaf made a very interesting pattern with plenty of tonal variation. Another arrow-like leaf that I thought would likely come out similar to Leaf Bat didn’t want to show as much detail even when given 2x the exposure, but I do really like the delicacy of glowing veins on a much darker background. I think these little gems would be a great addition to the interior décor of anyone who likes nature and so they are now up for grabs on Etsy. 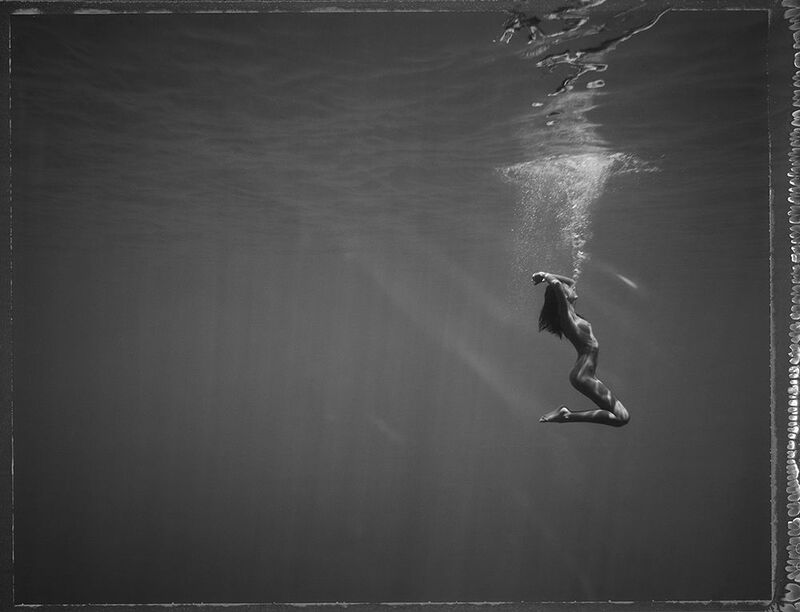 Check out Anton’s Etsy shop for stunning photographs at a very reasonable price by Anton Orlov!